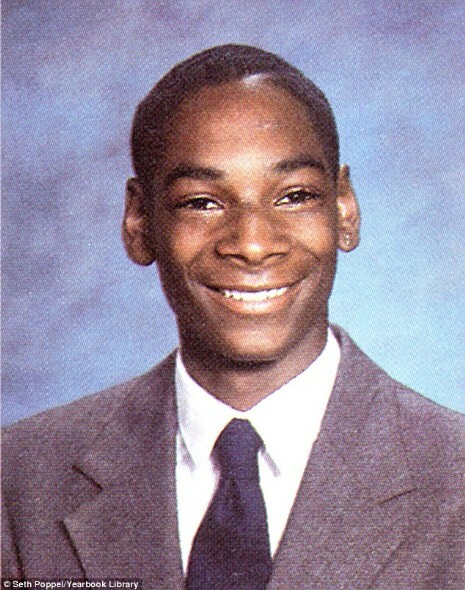 We love this clean-cut necktie photo of Snoop Lion (or Snoop Dogg) before he developed his dreadlocked persona. This is his senior yearbook photo from David Starr Jordan High School in Long Beach, California. Snoop, now 42, surprised his British fans when he made a DJ appearance at a nightclub there and chose to stay at a low budget Holiday Inn Express with his entourage! The hotel staff loved him and he posed for photos with them. What’s more, he left his room in perfect condition. No rockstar antics there!